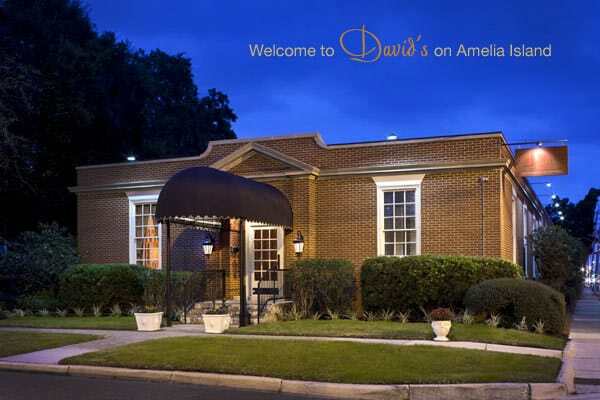 For high-end and classic American dining on Amelia Island, you don’t need to look any further than David’s. David’s Restaurant has carved out an identity as one of the strongest Amelia Island restaurants for its basic yet effective approach towards American fine dining. With a stylish and sassy décor, a varied banquet menu, and an offering of eclectic, uncommon, and dazzling seafood, David’s may be one of the best places to go for your Amelia Island visit. Below is an overview of what you can expect at this fine dining establishment. The focus at David’s is on steak and seafood. The restaurant delivers a pointed menu with only the best steak and seafood offerings. This is divided into distinct menu arrangements: the FIRE, WATER, ICE and EARTH. 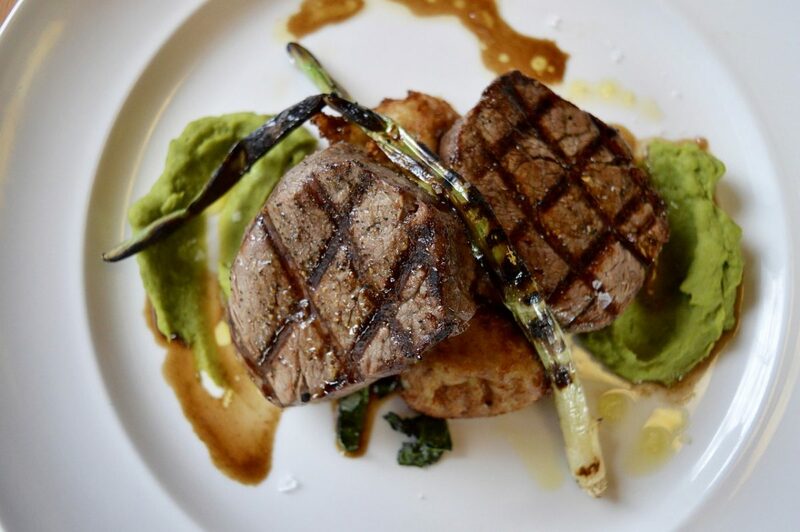 The FIRE menu features an acclaimed series of meat options, including the Filet Oscar, Rack of Lamb, or Grilled Delmonico Rib Eye & Petite Filet. The WATER menu features a select array of high-quality fine seafood selections as one might expect from the name. These include the Chilean Sea Bass, Dover Sole, Truffle Scallops & Seafood Pappardelle Pasta and other select options. Furthermore, the ICE menu covers some incredible caviar options while the EARTH menu covers available appetizers, including Crab Bisque, Beet Salad, and David’s Escargot. Rounding out the menu is a list of top-tier wines, coffee specialties, and desserts. The four group menus are available on the website which cover further menu details. The restaurant is particularly known for its highly-acclaimed Alaskan King Crab. This delicacy is provided right from the Bering Sea using seafood supplied by the team at Deadliest Catch. Guests can also order Oven Roasted Prime Rib for a special price on Wednesday nights. The dining décor is classy and gorgeous, but not overwhelming. Guests are welcomed in business casual attire, with no hats or cut-off jeans. Children are allowed but it may not be ideal for a relaxing night out. This is up to the discretion of the guest. Overall, the restaurant has a few rooms to offer different experiences and atmospheres for guests. The bar lounge area has a casual slant, with libations and drinks available starting at 5 p.m. The dining area officially opens at 6 p.m. Many guests will begin in the lounge for a pre-dinner drink and migrate to the dining area. There are also two event areas. One is specifically designed for intimate and romantic evenings, where guests are provided a private atmosphere for a romantic and special dinner. Another area is suitable for large groups of 12 or more, specifically used for corporate events, wedding reception dinners, or large-group event gatherings. This table receives special care from a small team specifically for them. Guests are treated to exclusive dinner options and full wine service. For specific requests and details on group reservations and other questions. This upscale restaurant on Amelia Island is only open from 5 p.m. to 10 p.m. every day of the week. Reservations are strongly suggested and required for weekends or during holiday seasons. Thankfully, you can easily call the front desk at (904) 310-6049 during business hours. The line may be available prior for same-day reservations. The restaurant is located at 802 Ash St, Fernandina Beach, FL 32034, on the northern end of the island south of Fort Clinch. David’s Restaurant represents a wonderful culture of care on Amelia Island. The locals care about the quality of their food, which is why the island has so many top-tier dining options, from casual local eating to fine and high-end experiences. Contact us at (800) 741-4011 to learn more about how you can stay on the island in style. Our Amelia Island vacation rentals offer some spectacular experiences. Visit our bargain offers for short-term stays or consider a new home away from home for a long-term stay while searching for your own piece of permanent luxury island property.